What is Fitness to Practise? | Doctors Defence Service – UK. Where a doctor compromises their position, or patient safety, or otherwise undermines the profession or their employer by acting or omitting to act in a particular way, the GMC may determine to take action against the doctor. This might be by way of providing guidance, issuing a warning, imposing undertakings, or referring a case to a fitness to practise hearing. If a doctor’s fitness to practise is found to be impaired, they can be restricted by way of conditions of registration, be suspended, or be struck off (also known as erasure from the register). The GMC/MPTS Indicative Sanctions Guidance also provides an analysis of the types of cases where fitness to practise is likely to be impaired. For more information on the GMC’s processes, see our page on GMC Investigations. For further reading on the definition of ‘fitness to practise’, see the GMC’s policy guidance on ‘Fitness to Practice’ (2014). See also our GMC/MPTS case law page and in particular the references to the Shipman Reports. The Fifth Shipman Report has a particular focus on definitions of fitness to practise, which has informed most healthcare regulators about best practice. For case law on how the GMC deals with overseas regulators of doctors, see the case of Alhy v GMC. 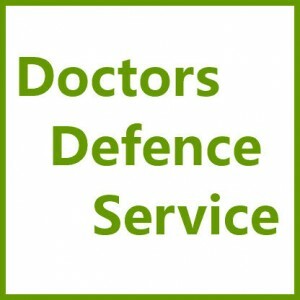 Doctors Defence Service is an independent organisation providing legal and policy advice to UK registered doctors. For advice and guidance on Fitness to Practise matters, call Doctors Defence Service on: 0800 10 88 739 Or use our online enquiry form.